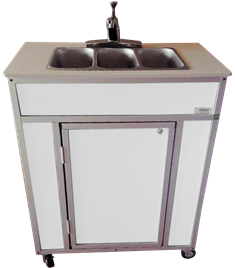 When looking for a sturdy, three basin sink that is also NSF certified, opt for our NS-009T Model. 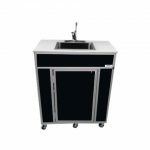 It features three 6” deep stainless steel basins that provide plenty of space for washing, rinsing and sanitizing. 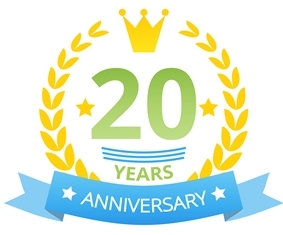 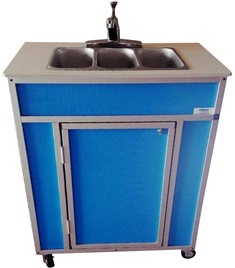 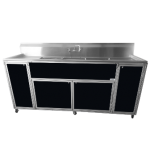 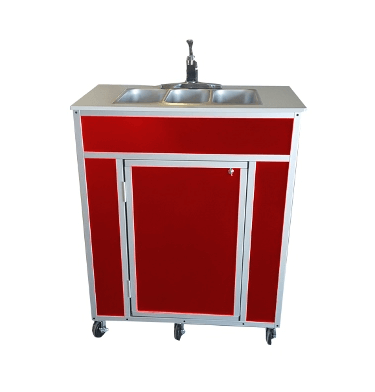 Like all our portable self-contained sinks, this model offers you an easy solution to obtaining running water without the need for drains and water connections. 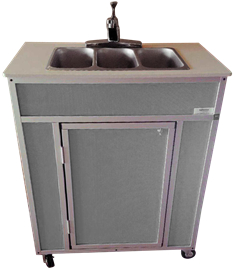 Lightweight and easy to move, it comes on durable swivel casters that lock as needed. Choose from one of our color options to match your décor, or order in stainless steel for a crisp, clean look. 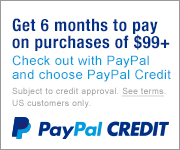 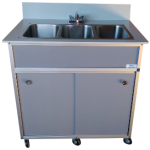 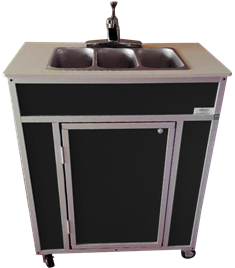 Order your portable sink today by calling us at 1-800-513-8562.